What are the most important marketing KPIs your team should be tracking? This isn’t a trivial question; measuring the right key performance indicators is essential if you want to meet your business goals. So, which ones should you pay attention to? With the amount of data and analytics available to your marketing team, there are literally hundreds of metrics you could be tracking: likes on social media, referral traffic, click-through rates, and bounce rates. All of them have the potential to tell you some critical information that will help guide your marketing strategy, but how do you decide which ones are actually relevant to you? When Williamson, a manufacturer of infrared pyrometers for industrial applications, worked with us to create a new website, their primary goal was to improve their customer’s user journey. Measuring the effectiveness of marketing for their new site solely through metrics like unique traffic and leads generated would not properly indicate whether they were achieving those goals. Instead, they focused on KPIs such as customer churn rate and lifetime value per customer to help understand if they were moving in the right direction. 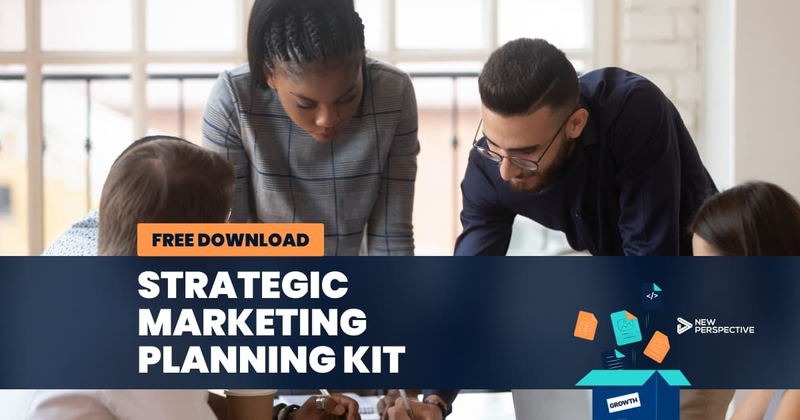 Key performance indicators are only useful in measuring marketing effectiveness if they are helping you reach your goals, so the first step is to establish goals for your business. Once you know what it is you’re trying to do, you’ll be more able to decide which metrics will help you get there. Here are five common marketing goals and the KPIs you should use to track them. If your goal is to improve how visitors and customers engage with you online, increasing the amount of traffic to your website won’t necessarily help you. Instead, you want people to actually engage with your content: click on your links, spend time on your website, or even share your social posts! According to Google Adwords, the average click-through rate (CTR) for the industrial services industry is only 1.4%. That means for every 1000 people that see your ad, only 14 are actually engaging with it! Rather than focusing on getting more people to see your ad, your time is better served improving this conversion rate. Click-through Rate: CTR is a good KPI for measuring the engagement of anything from landing pages to emails to ads. It measures the percent of people who click on a link they saw. Bounce Rate: The percent of website visitors who leave your site after only visiting one page. Time on Site and Pages Per Visit: Measuring engagement with your website can be determined by how long and deeply a visitor explores your site. Social Media Likes and Replies: On social media, number of followers is far less important than the number of people who are engaging with your content through likes, replies, and shares. Cost Per Lead: The total lead generation spend divided by the number of leads generated gives you an idea of the average cost per lead. Inbound marketing can help lower this figure as you build a more sustainable marketing funnel. Conversion Rate: For lead generation, conversion rate refers to the percent of website visitors that eventually become leads. This helps measure the effectiveness of your marketing funnel and determine where in the funnel you are losing the most visitors. Lead Quality: Measuring lead quality will require working with your sales team to determine what constitutes a qualified lead and using lead scoring to automatically rate leads. This should be the most important lead generation KPI as a high amount of low-quality leads will never beat a small amount of leads that are a better fit for your business. Lead to Customer Ratio: The percent of leads that convert into customers. This is the most basic way to measure the effectiveness of the sales department. Average Sales Cycle: Long sales cycles can drain sales resources and negatively affect the company’s cash flow. For manufacturing companies with sales periods of months or even a year, shortening that period by even a month can significantly impact total sales. Customer Retention Rate: This is the percent of customers you keep compared to the number you had at the start of the period, not counting new customers. Lifetime Customer Value: The average dollar amount each customer is worth to your business. Increasing this number through additional customer support, account managers, or customer resources can have a much more significant effect on your bottom line than making new sales. Knowing your goals allows you to start measuring your marketing effectiveness with specific KPIs that relate to those goals. When you’re paying attention the right metrics, you can understand if your efforts are driving results – and if they’re not, you’ll be armed with the knowledge necessary to make changes.